Libraries in the 21st Century are not just buildings where people read and check out books – though they still serve that purpose. Today's libraries have transformed themselves into community centers and places of hands-on learning, creativity and social interaction. That was the message Boyce Ditto Public Library Children's Librarian Jacque Fitzhugh brought to Rotary Club members during Wednesday's meeting at Holiday Hills Country Club. She is pictured above with Club President JJ Dugan. A semi-retired educator from Perrin, Fitzhugh has brought several new children's programs to the library centered on arts and learning. She has introduced STEAM – science, technology, education, arts and mathematics – to the children's offerings at the library. Fitzhugh has also introduced ESL programs that includes a Spanish story time reading monthly. She said the library is seeing steady increases in the number of children taking part in the various monthly programs and offerings. A Christmas crafts making and decoration event in December saw some 60 participants. The library is available to all Palo Pinto County residents. Children and families participating in the activities and programs are not required to be members. Besides the children's programs offered in the library, children also have the opportunity to check out cool toys and electronics to take home and learn and play with. Yes, despite what some say, today's libraries are neighborhood and community activity and learning centers with programs and offerings for everyone. BDPL Manager Louanne Noel-Post hopes to soon open discussions about adding library space. 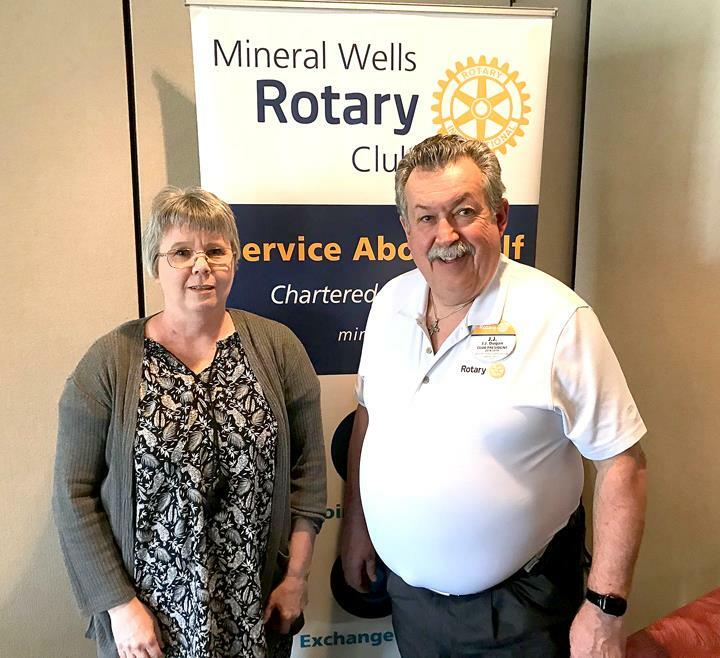 Mineral Wells Rotary Club meets every Wednesday at noon at Holiday Hills Country Club for lunch, networking, updates on club news and projects and a program of interest. If you are interested in attending a meeting and become a Rotarian, joining us in putting "Service Above Self," seek out a Rotarian for more info and an invite.